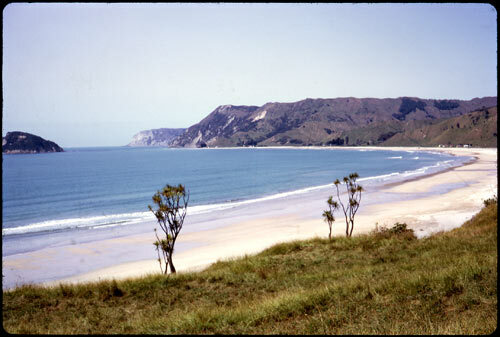 British explorer James Cook made landfall on the southern side of Anaura Bay on 21 October 1769 and met local Māori. This photograph was taken just over 200 years later, by which time the area had no permanent population. In 2011 a scenic reserve abuts the northern side of the still largely unsettled bay.